Steve and Cat’s farm tipi wedding was just magic. The weather, the guests, the glitter and the most wonderful couple. I was so pleased to have been booked for this wedding because I often travel a lot for weddings so it was really special to shoot such a great one in my home town. They had a very lovely church ceremony, followed by celebrating in a huge tipi on Cat’s parents land. It was intimate, family orientated and a damn good party. Here is Cat to talk you through their wedding. Venue – Shortly after we got engaged we came up the idea of a ‘wedfest’ theme for our wedding and knew my parent’s farm would be a perfect place to hold it. It’s in a beautiful setting and very close to our hearts plus we knew we would be able to completely transform the place to achieve the ‘festival’ vibe we were after. When looking for marquees we were immediately drawn to tipis, we loved the look of them and they reminded up of going to festivals ourselves. After visiting a few suppliers we settled on a Papakata tipi complete with dance floor, glitter ball and bar area! Outside the tipi my parents made ‘festival style’ signs, we set up a camp fire with surrounding hay bales and a guitar for camp fire songs and we also made a DIY photo booth outside, complete with a polaroid camera for people to take their own snaps! We borrowed a vintage tractor from our next door neighbours who are also farmers as alternative wedding transport for to and from the church. One of my favourite parts of the day was riding on the back of that trailer waving at all our friends and family. We spent our wedding night in our own ‘honeymoon’ glamping tent provided by the lovely people at Bellows Glamping. The bell tent was beautiful, the guys had decorated it with rose petals, we had a proper bed, dressing gowns, beauty baskets and a complimentary bottle of champagne! Outfits – After trying on what seemed like a million dresses I found ‘the one’ at a bridal boutique in Leek (Grace Bridal Boutique – the Lenora by Wtoo Watters). It was different from any other dress I had tried on, with a quirky ‘cut away’ feature at the waist plus it was super comfortable so great for dancing. I topped off the look with a flower crown of thistles and wild meadow flowers from (Heather Locker Florist – Leek) with the aim of creating a relaxed boho bridal look! My shoes were vintage style from Rainbow Club. I had tons of bridesmaids so opted for a few variations of the same dress from Maya in gold and blush pink which fitted with our ‘loose’ colour scheme of blush pink, gold and green. I think they looked fab and the sequins and floaty skirts again fitted with the boho festival theme. Steve is a big fan of flamboyant suits – always wanting to upstage the bride! Instead of picking a traditional suit he opted for separate pieces (all from Ted Baker) – including a floral shirt, bow tie, double breasted waist coat with wool jacket and separate trousers. Brown chelsea boots from Dune. Cake – Steve’s late grandmother was a fantastic baker so we felt it was only right to use one of her recipes for our wedding cake. Steve’s mother kindly baked our cake which was originally a 3 tier victoria sponge but unfortunately due to the warm weather on the day we lost one layer on the day!! It was a naked cake decorated with wild meadow flowers and topped with a ‘mr and mrs’ rustic wooden topper. Flowers – Our flowers were supplied by the lovely Heather from Heather Locker Florist in Leek. The bridal party bouquets were made up from wild meadow flowers in the theme of pink, gold and bright greens. They were loose upright posy style bouquets tied with hessian using flowers such as Thespi Bell, Lavender, thistles, Larkspur, wax flower, Ami Majus, blush pink Astilbe, gyp and eucalyptus. Steve, the groomsmen and our fathers had matching buttonholes and our mother had matching corsages. My mum did all the church flowers again using wild flowers picked from her garden for the windows and gyp pew ends tied with rigid white lace. The long tables in the tipi were completed with jars of small wild flowers and foliage table runners, again to create that fresh boho feel. Photographer – Hehe! That’s you Laura! As soon as Steve and myself saw your pictures we loved the relaxed quirky feel of your pictures. We knew you’d be able to capture our day and provide us with alternative wedding photos! From what I’ve seen so far you’ve captured the beautiful evening light like a dream. Rings – My wedding ring matched my engagement ring perfectly and was a 2mm channeled half diamond 18ct white gold band from Rox. Steve loves rose gold so opted for a 9ct rose gold 5mm wedding band which matched his rose gold wrist watch! Evening Entertainment – After a long and hard search we chose the soul band ‘The Soul Thieves’ who played a mixture of old-school funk and soul and modern RnB who absolutely rocked the dance floor. They were fantastic and the dance floor was bouncing the entire night. We had a glitter station which went down a storm, everyones faces were covered by the end of the night. Table Decorations – We opted for informal long tables and benches to create a relaxed feel for our wedding breakfast. The tables were decorated with foliage runners and jam jars containing wild flowers. Tealights were then intertwined in the foliage. The tables were named after stages at Glastonbury, our favourite festival, the table labels were made from vinyl style cd’s and pictures of the various stages. One of my beautiful bridesmaids made us jars full of our favourite coffee beans from Melbourne, Australia (where Steve and myself met) as wedding favours for guests. When planning our wedding, above everything we just wanted to put on a great party for all our family and friends. We wanted a wedding that represented our personalities, that was fun and vibrant and channeled our love of both festivals and farms! The day was PERFECT. I can honestly say that neither of us would change one thing about our wedding day and it exceeded our wildest dreams. We were so lucky with the beautiful sunshine throughout the day and the farm looked at it’s finest. I had a moment when I looked out on the farm at sunset, music blaring people mingling outside, smiling and dancing and couldn’t believe we’d pulled it off!!! Planning a DIY wedding is a lot of work but the fantastic thing is that you have total control over every detail and can design a wedding completely suited to your personalities. My advice would be to plan the big stuff early – we sorted out our tipi, caterers, band and photographer over a year before our big day, this just takes a lot of stress out of planning. You can do tons of the little details by yourself which saves money and gives everything a personal touch. We up-cycled wooden palettes to create our table plan, photoboards and order of the day and we used old milk churns as vases. We made our own ‘festival style signs’, a campfire and our own photo booth as well plus as our cake which was home made. Family and friends are always wiling, to help – use it! But my main bit of advice is not to lose sight of the purpose of the day, you are marrying the love of you life in the presence of all your friends and family, even if little things go wrong you will still have the best day of your life! If you’re new here, hi! 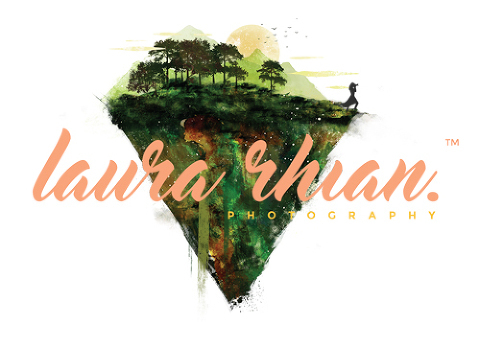 I’m Laura, a creative, relaxed wedding photographer based in Staffordshire. If you’d like to chat to me about your wedding, click here. To connect with me on social media, click on the links below!